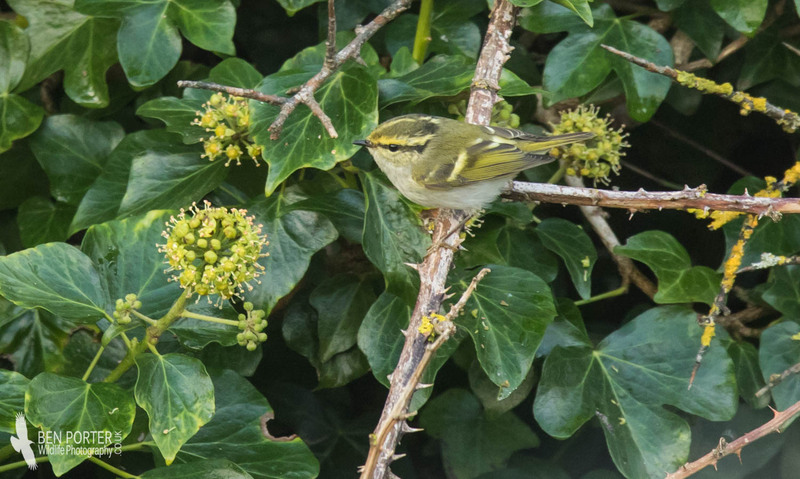 This stunning Pallas's Warbler (aka 'seven-striped sprite') was found in the quarry opposite the pumping station in Southwell on Wednesday, and so it was cool to catch up with this very nice eastern specialty. A good start to the trip! 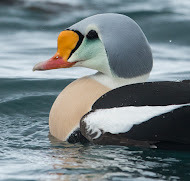 Over the weekend, I was lucky enough to help out with several superb AK wildlife cruises around the surrounding coast. 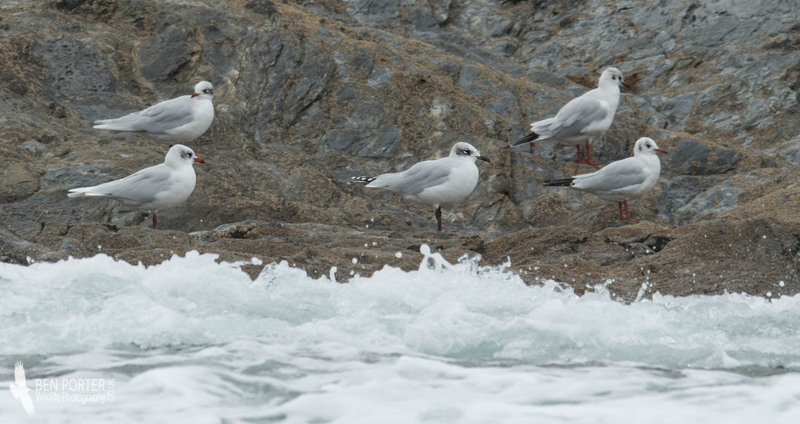 AK wildlife cruises was set up by Cap'n Keith over fifteen years ago in Cornwall. 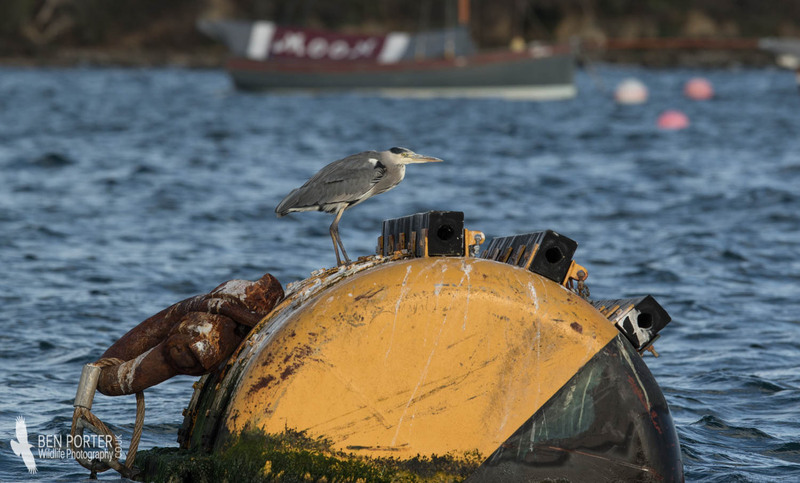 He runs his 12-seater vessel out of Falmouth docks, and takes groups of people to see the spectacular marine and avian wildlife that can be encountered along the Cornish coast. 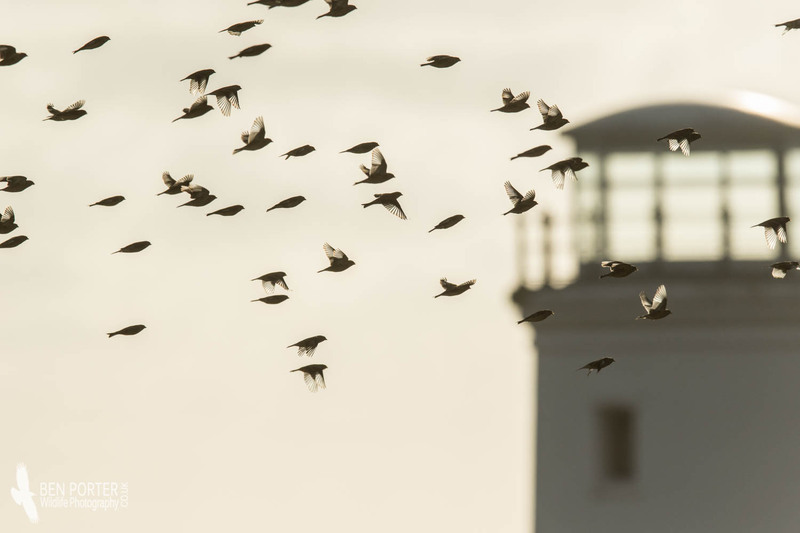 Trips are typically four hours long, and can range over 40 miles in distance, being taken east towards St. Austell, or west to the Lizard Peninsula. 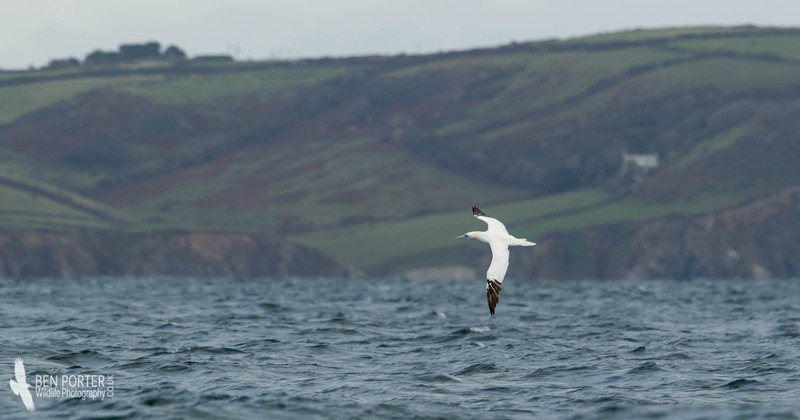 Cetaceans are regularly encountered throughout the year, from the incredible Fin Whale and Basking Sharks, through to the more commonly-seen Harbour Porpoise, Common and Risso's Dolphins, and Minke Whales. I joined two trips over the weekend, with fellow student and crew member Gemma Haggar. 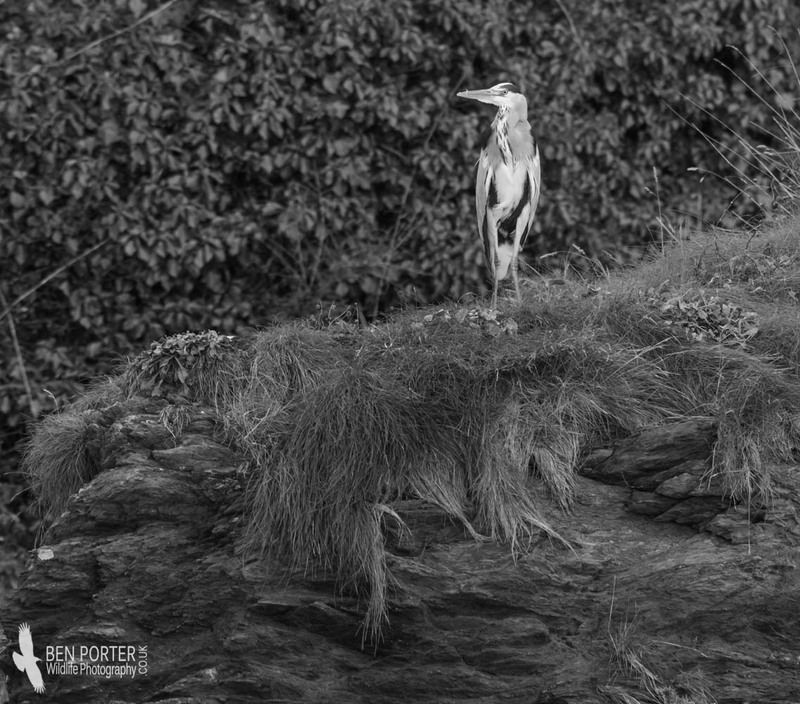 On Saturday, with a howling north-west wind and threatening skies, we headed east up the coast, past St. Mawes head, Portscatho and Veryan, all the way towards Gorran. 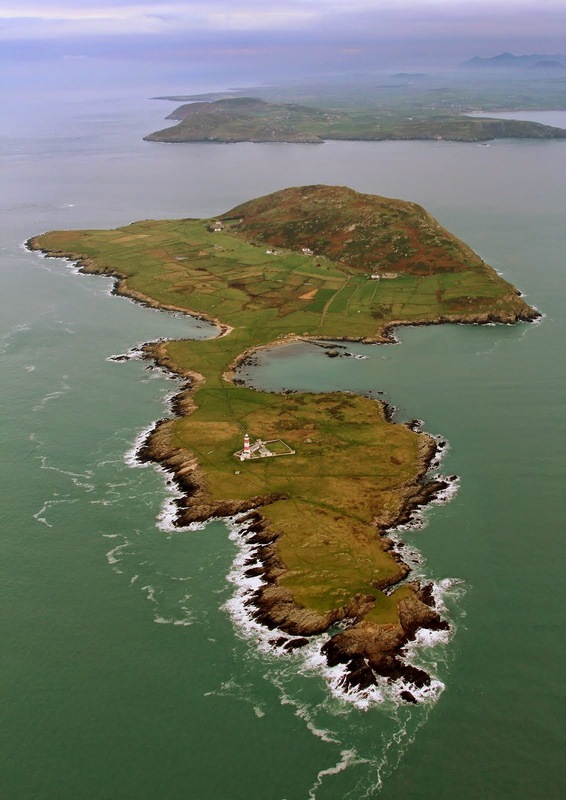 It was a superb trip, and we came across a fantastic array of wildlife: we saw three separate pods of Harbour Porpoise, amounting to a total of 27 individuals- a great tally; Grey Seals were scattered along the coastline, with a single three-week old pup giving good views in one of the bays. 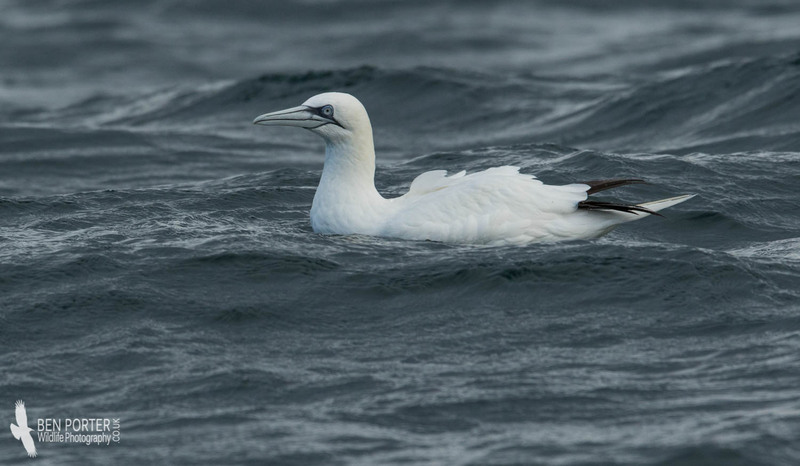 Flocks of Gannets were the main pointers to any cetaceans seen, and we also had great views of these superb pelagic wanderers as they dived into the water to pluck up fish and sprats. 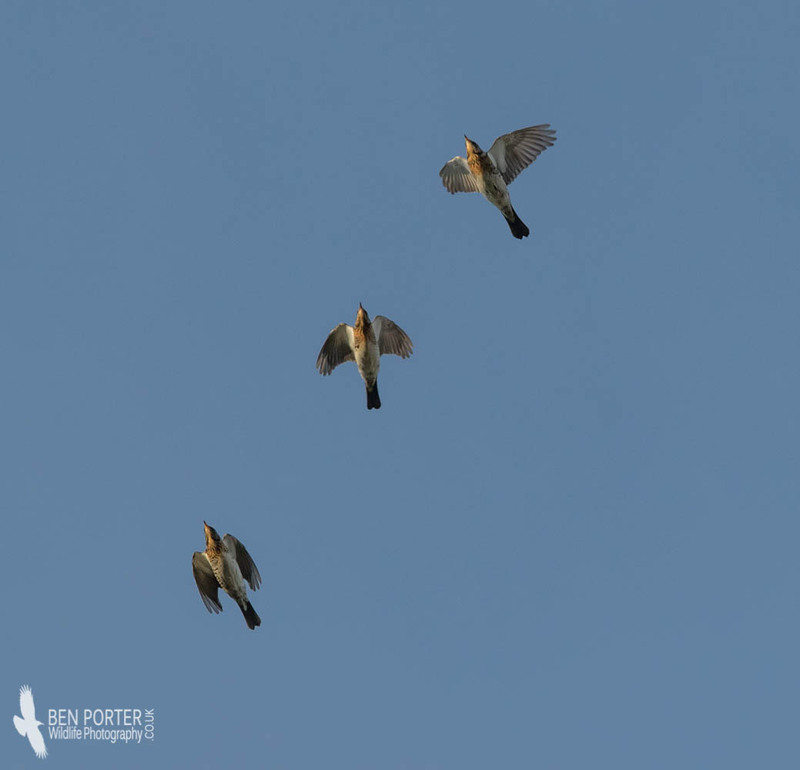 It was great to see some of the winter's first divers, with singles of Great Northern and Black-throated Diver representing the first of what can be an impressive wintering population in the south-west; views of Peregrines along the coastal cliffs were great, especially when one sliced through a flock of Linnets and managed to catch one. 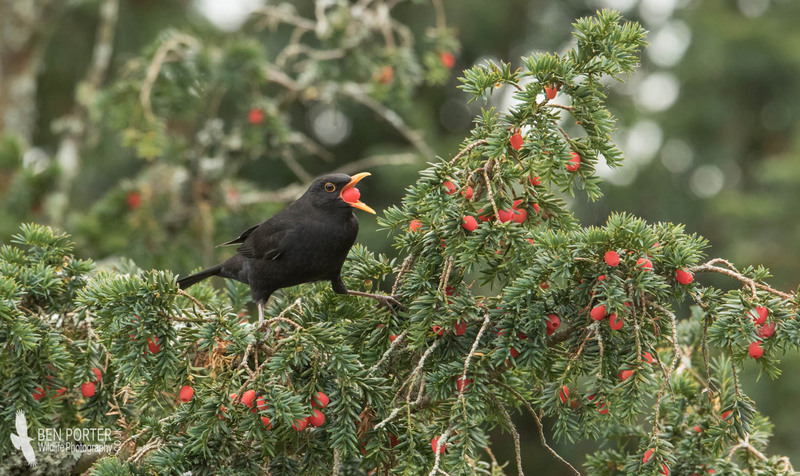 We saw over 40 Mediterranean Gulls, a single Whimbrel, Little Egret, and a lonesome Chough, which was great. 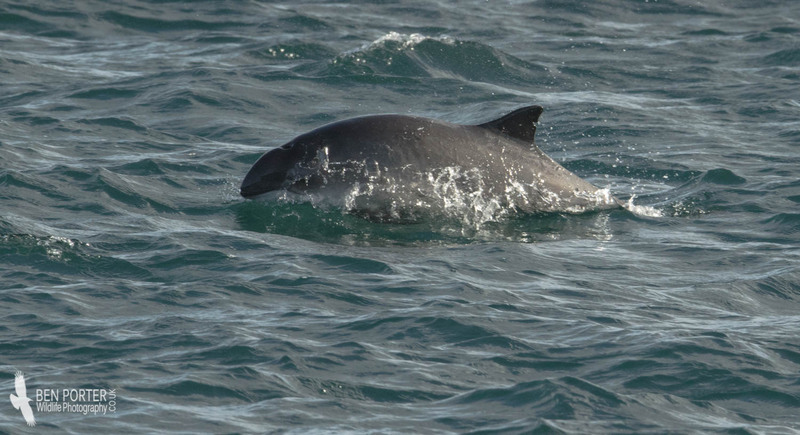 We had a great Harbour Porpoise (Phoecena phoecena) day on Saturday, encountering 27 individuals in three pods. 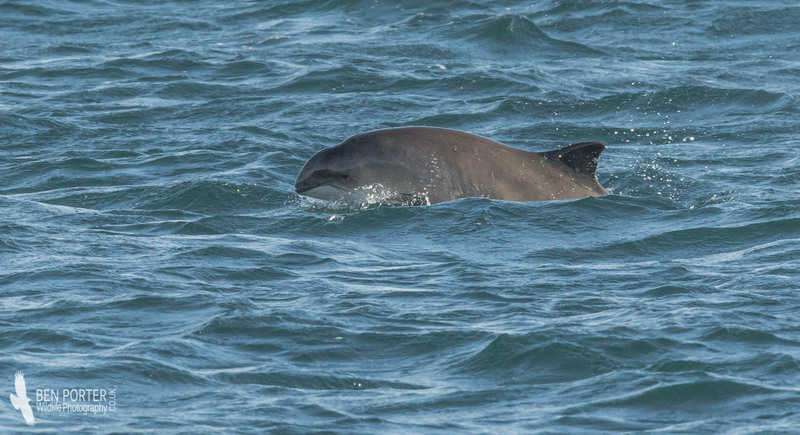 These shy little mammals are the smallest of the UK's cetaceans, measuring between 1.4 and 1.7 metres long. 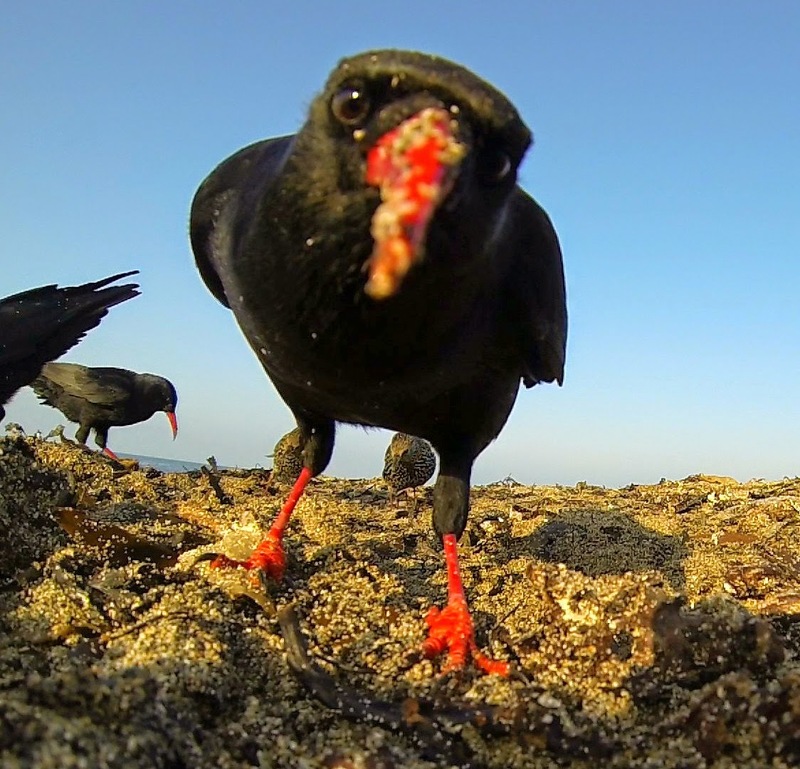 They feed on a broad variety of prey, from fish and shellfish, to squid and octopuses. 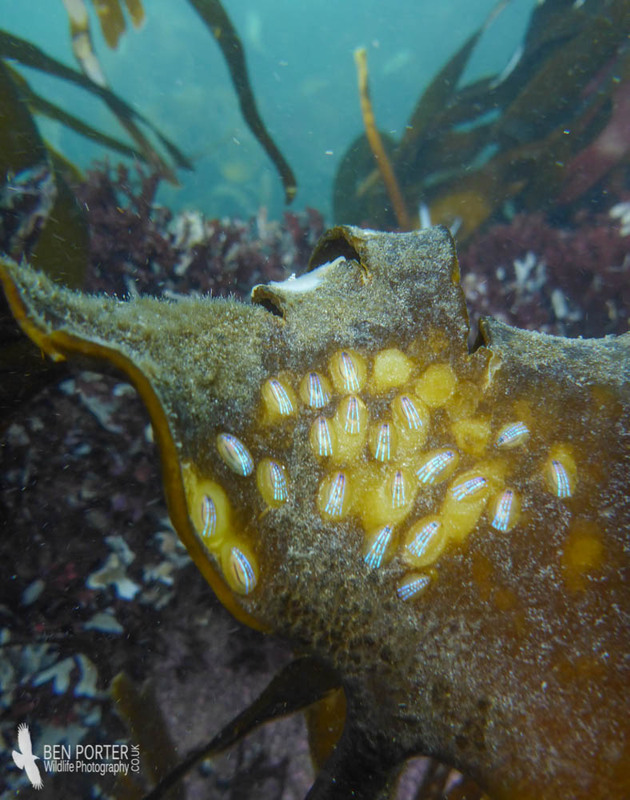 They commonly surface two or three times for air every 10-20 minutes, making relocation a little tricky at times. 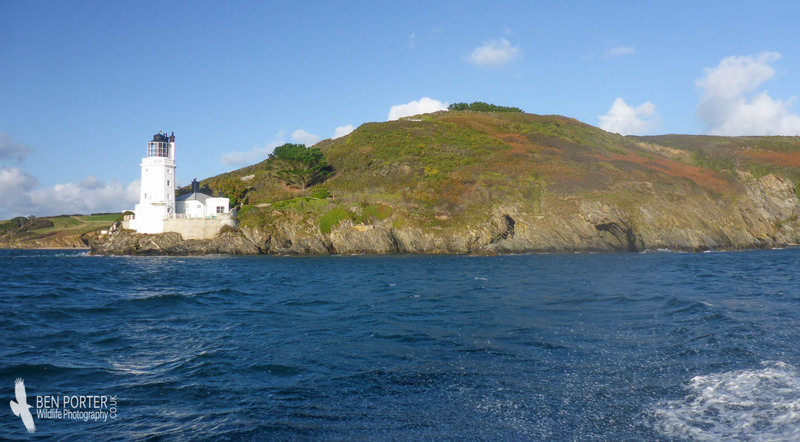 We had an equally productive trip on Sunday, heading the opposite direction along the coast: first to Maenporth, crossing the Helford passage to the Lizard, working up to Manacles Reef and the Black Land, before returning at a fair distance to try and pick up any cetaceans. We had much calmer weather conditions, but a slight south-east wind made for tricky observations, with the lighting also making it hard to pick up any fins breaking the surface. 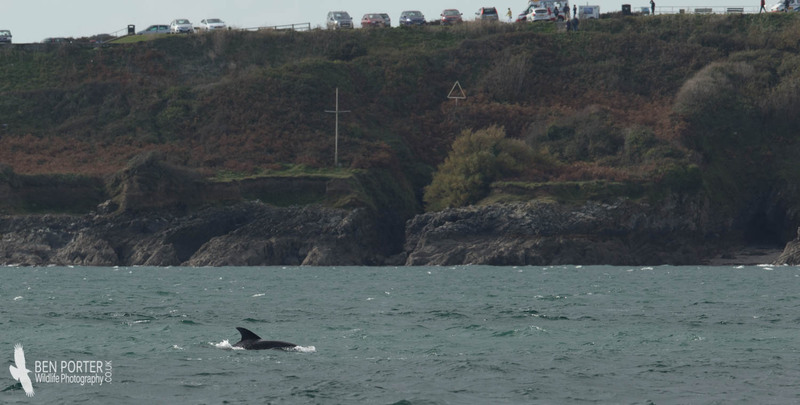 Earlier in the morning, Keith had spied a pod of three Bottlenose Dolphins working along Gylly Beach, which are quite unusual for the area. 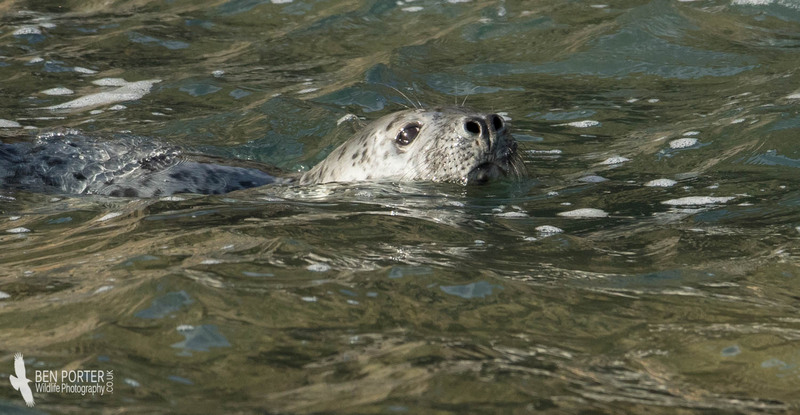 We were fortunate enough to connect with these on our way out of Falmouth docks, which was great. 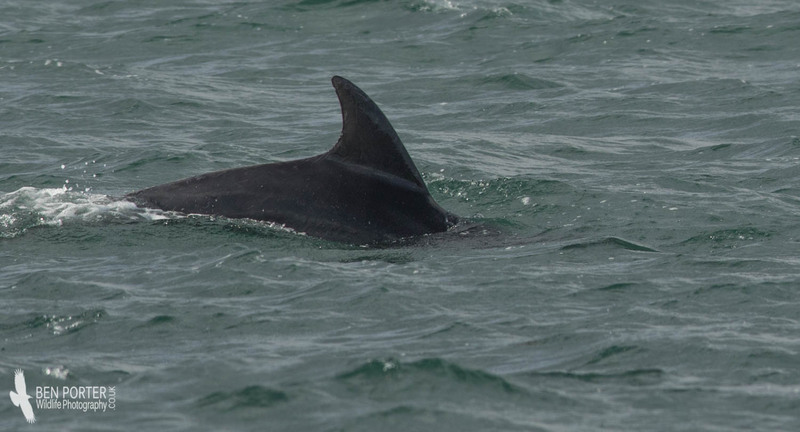 One individual sported a fair number of scars the dorsal fin, and so hopefully we may be able to photo-ID this individual against the database. Aside the Tursiops, we also came across a playful pod of 15 Common Dolphins off Black land, and we spent a good ten minutes watching these acrobatic animals playing in our bow wave. 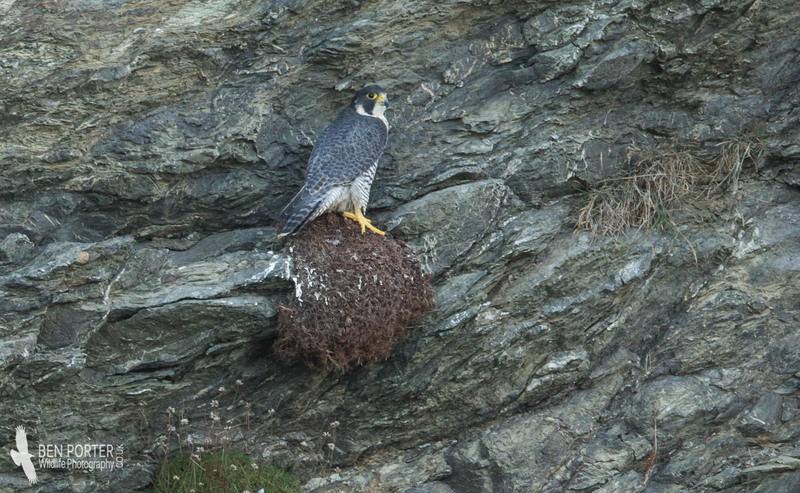 Birdlife did not disappoint either: we had more superb views of Peregrines along the cliffs between Maenporth and The Lizard; flocks of Razorbills, Guillemots and Kittiwakes passed by during the afternoon, along with the odd Mediterranean Gull; a Little Egret passed overhead on our way of the bay; and plenty of Buzzards and Kestrels hovering over the cliff edges gave good views. 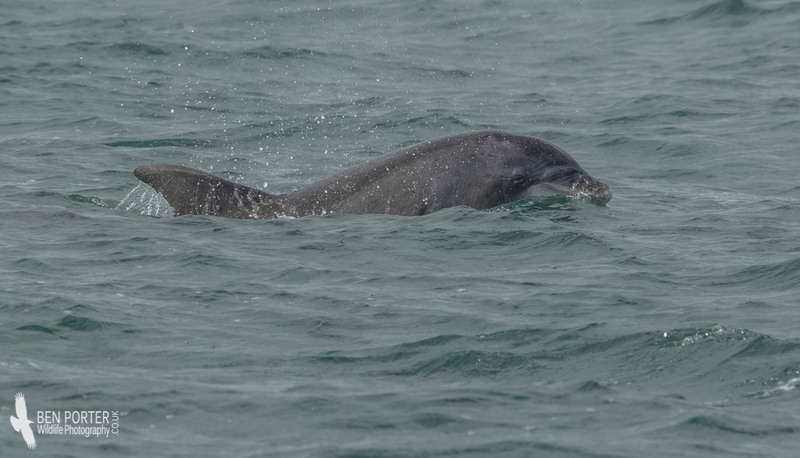 Bottlenose Dolphins have to be one of the most well-known cetacean species in the world. 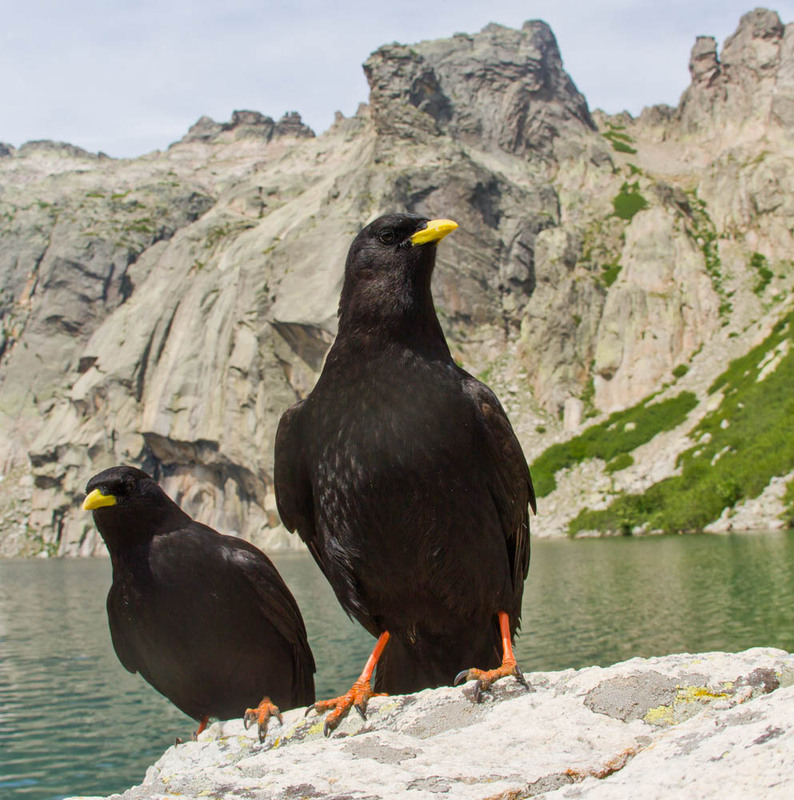 They are fantastic animals, and incredibly intelligent. 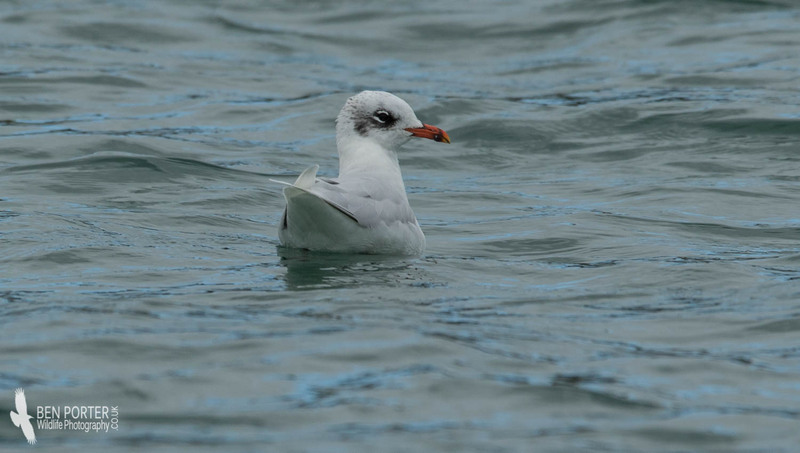 Interestingly, there are said to be two different 'varieties', with a smaller form which tends not to stray further than five miles from land, whilst a larger pelagic form rarely strays that close to land. The markings and wear that accumulate on the back and dorsal fin can provide a great natural way of idenitifying individuals. Keith was telling me about a particular individual called Clett, who has an incredible story spanning 20 years. He even has a Fecbook page, so check him out! 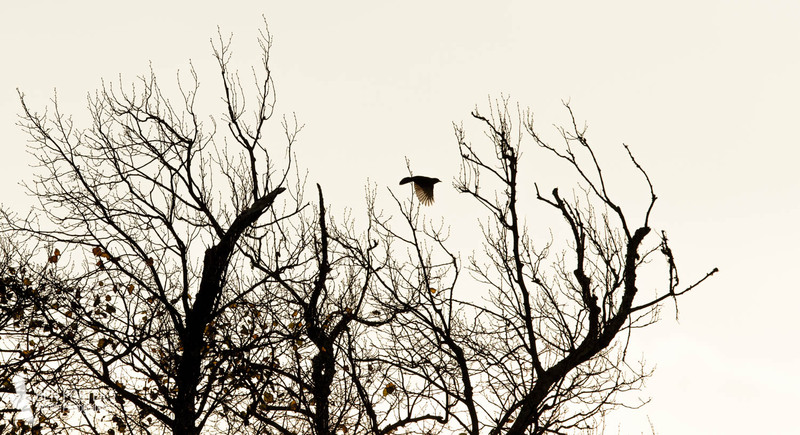 After widely ranging around the UK, he was last seen this spring. 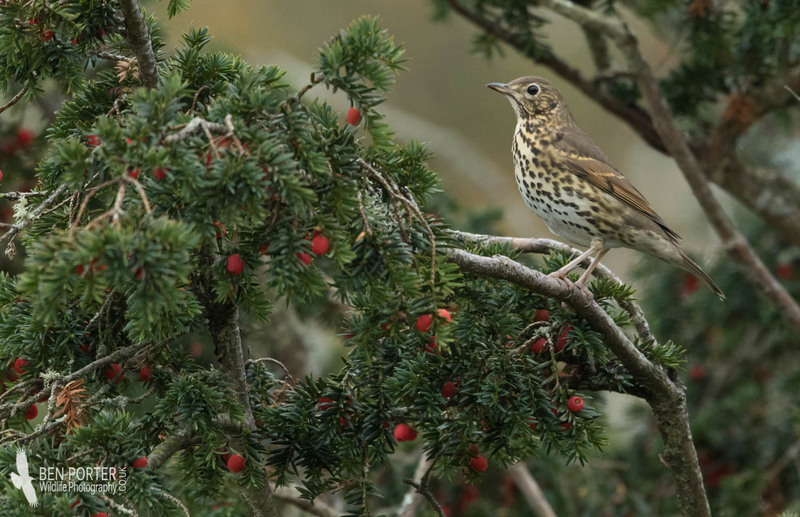 It's that time of year again: calm, clear nights are filled with the 'seep' calls of Redwings and the 'ticks' of Song Thrushes, whilst fruiting hedgerows and berry-covered trees become the site for a major feast. 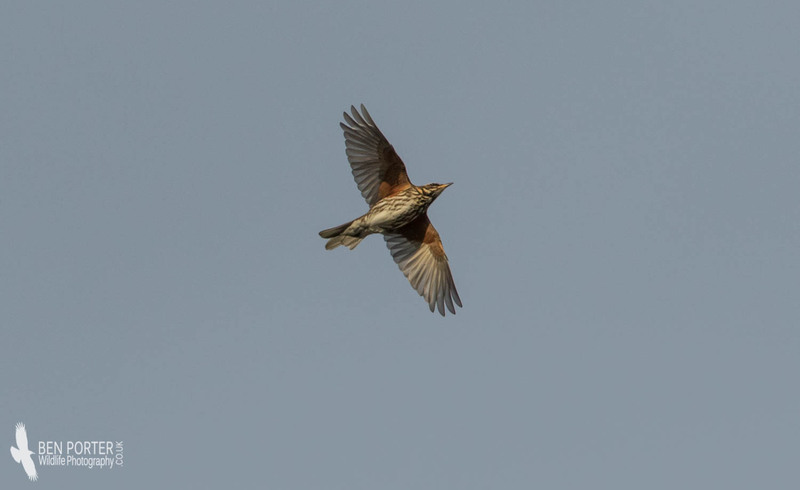 I do love autumn thrush migration, especially when you can stand on your Uni campus and watch flocks of up to 70 Redwings migrating overhead during the morning! 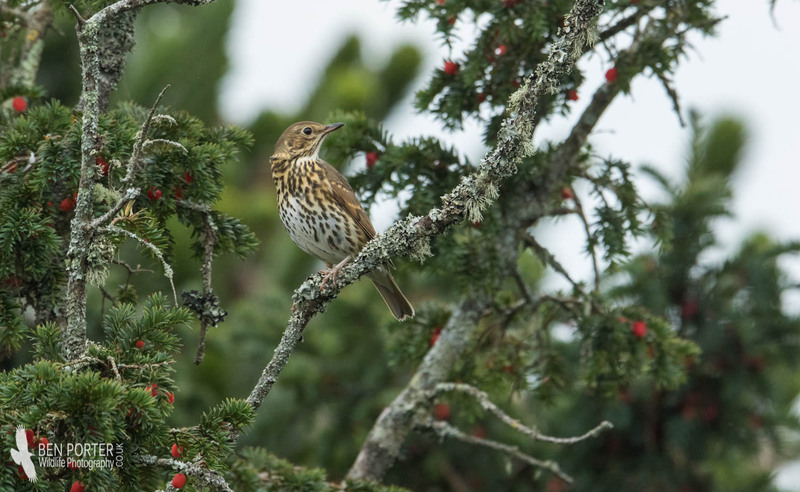 By the 17th, the visible migration of birds overhead had more or less dried up, but many were now scattered amongst the various fruiting bushes and trees that line the fields and pepper the gardens. 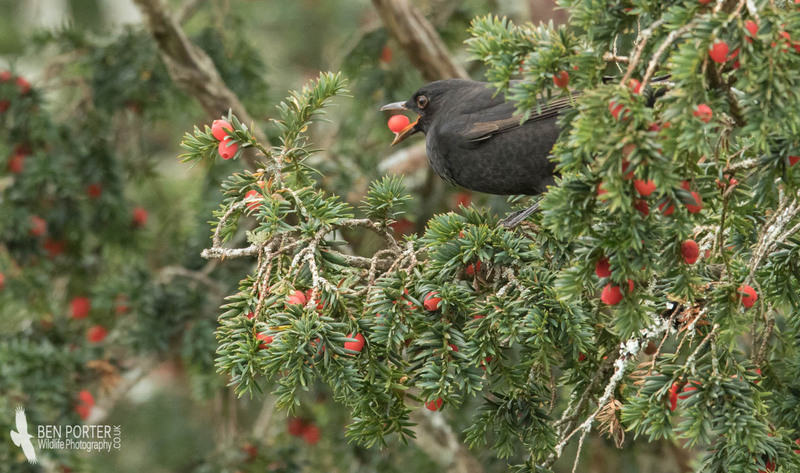 On campus, the most utilised trees took the form of the Yew conifers, which happened to be right outside our main lecture theatre! 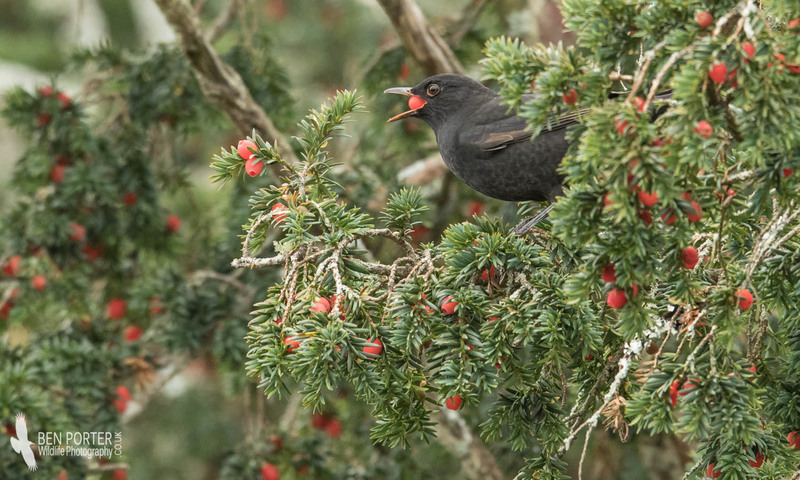 I spent quite a while on many a day watching them picking these potentially poisonous (to humans) berries and down them with satisfaction - as can be seen in the images below! 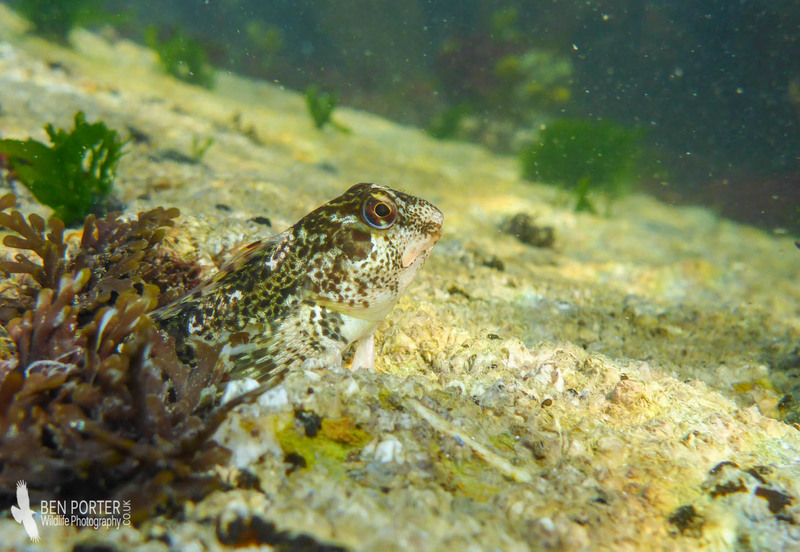 A few days ago I headed down to the coast near Falmouth, with the hope of finding suitable conditions to head out snorkelling. The weather over the last few weeks has been a bit mixed, leading to fairly murky water for the most part, so to cycle up to Maenporth and find a flat calm sea and superb clear waters was great. I was in a bit of a rush to get in the sea, as I only made it down after a two o'clock lecture...the sun as already getting lower in the sky, so opportunities for photography was diminishing too! 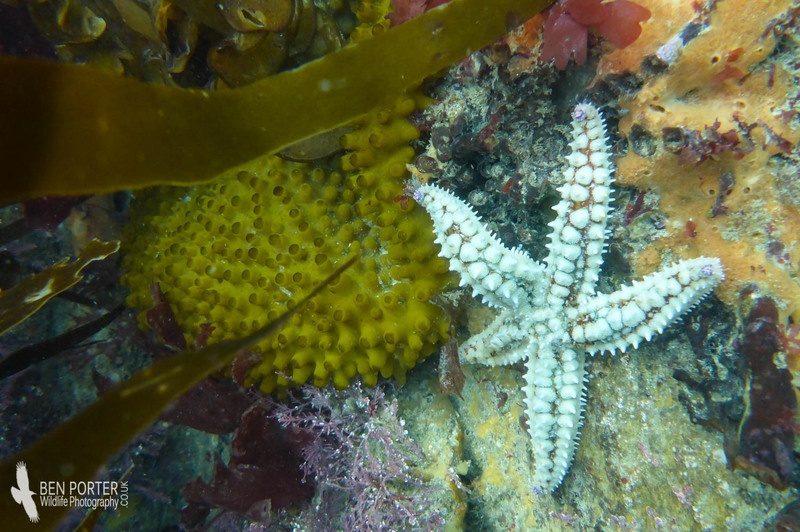 Spiny Starfish, ranging in colour from a deep blue to bright white with brown markings, were scattered amongst the rocks- if you watched them for a little while, you could see the very slowly making progress across the seafloor. Seaweeds of many different species were the hiding places of an interesting variety of fish, from the bulky Ballan Wrasse, the more colourful Corkwing Wrasse, and also a handful of bright green little fish, which I haven't identified as yet. 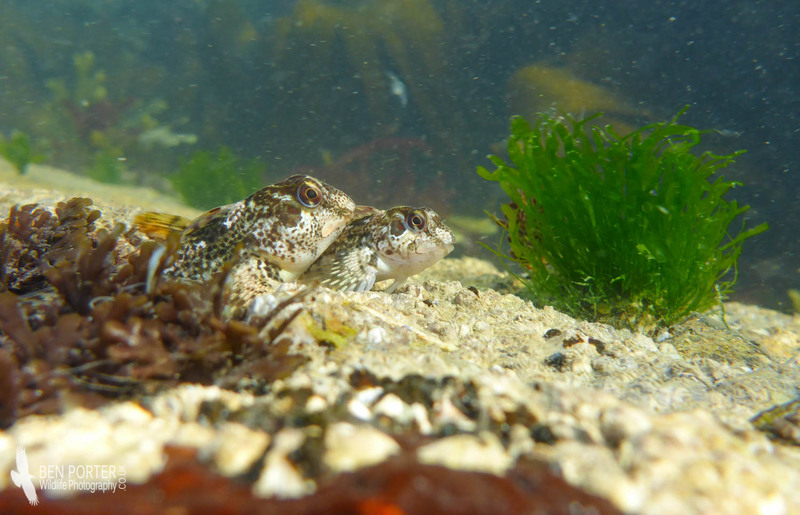 One of the fish species I really like seeing if the Common Blenny- these characterful little rock-dwellers are very well camouflaged, and rest atop barnacle-covered rocks closer to the surface. 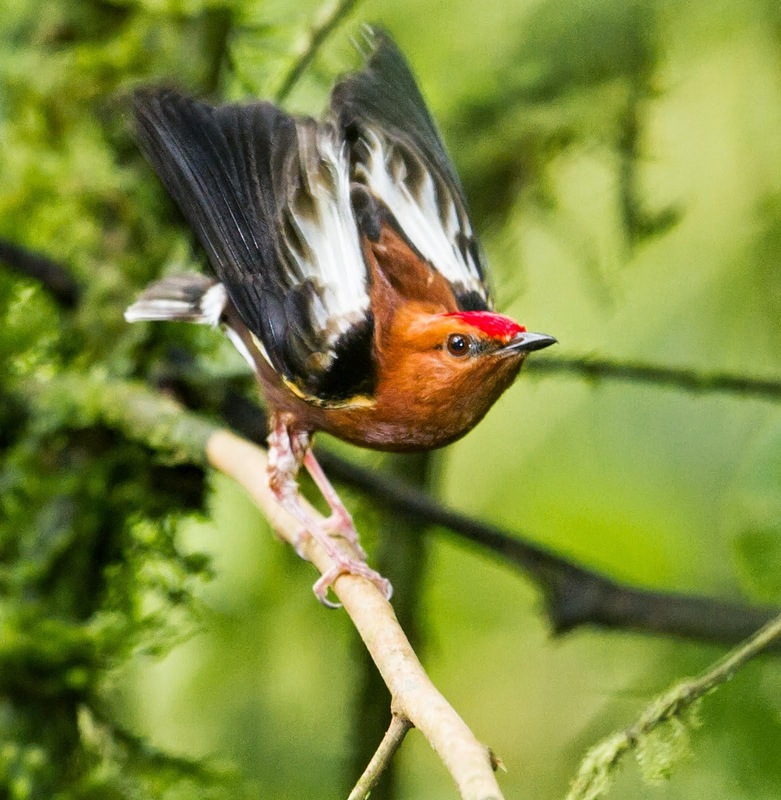 It is quite fun to approach and watch their reactions as you invade their territory in an attempt to photograph them. 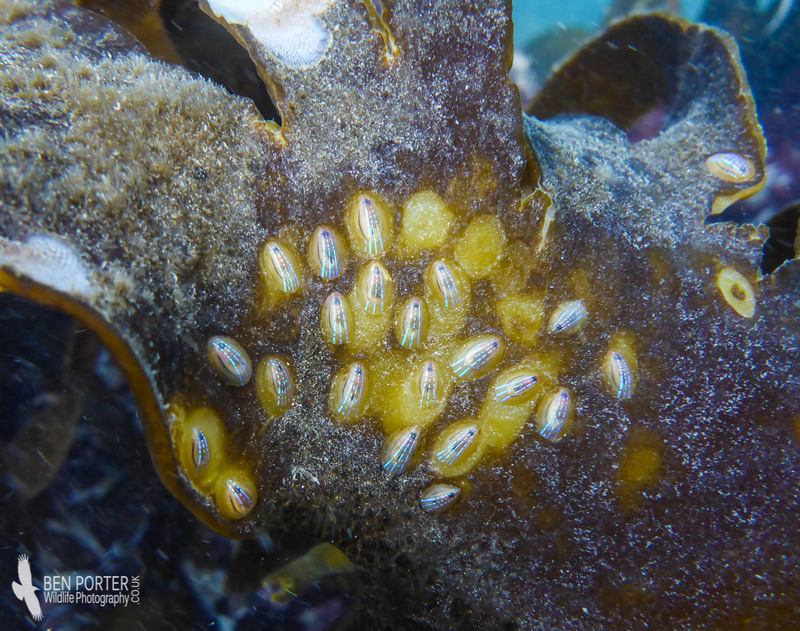 Every now and then I would come across a little colony of Blue-rayed Limpets, all clustered together at the bases of Kelp fronds- although they don't look like much from a distance, you can see their fantastic electric-blue dorsal stripes when taking a closer look. 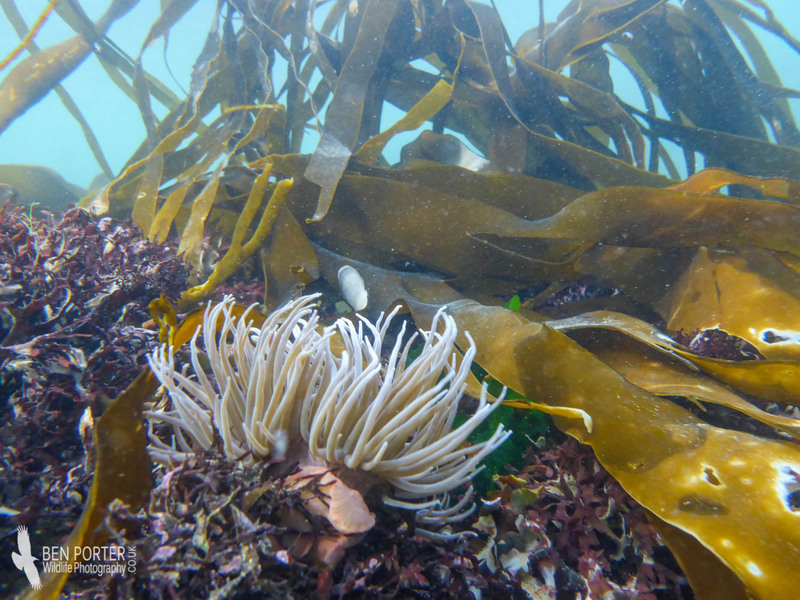 Perched sedentary on the edges of rocks and hiding amongst the kelp were the occasional Snakelocks Anemone, tentacles waving in the gentle swell. 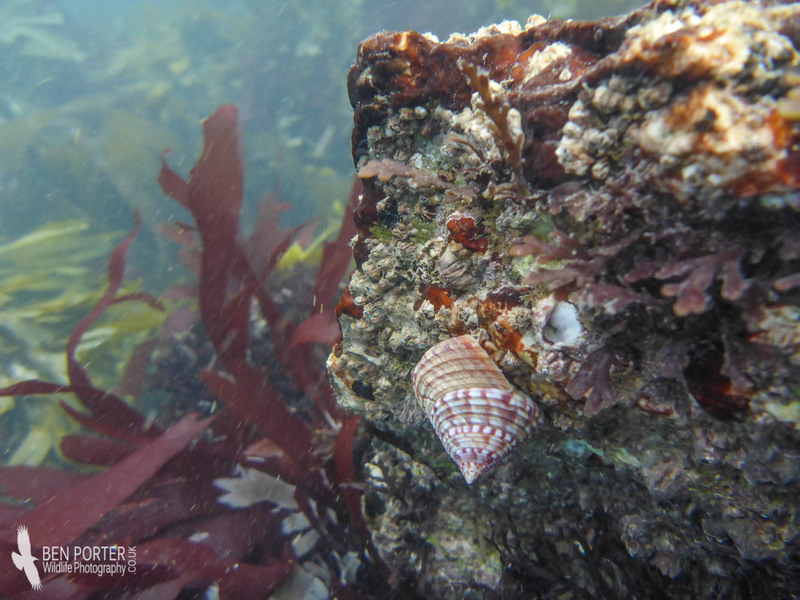 Clinging to the rocks closer to the surface were Dog Whelks, Limpets, Winkles, the pretty Common Topshells and Razor Clams. 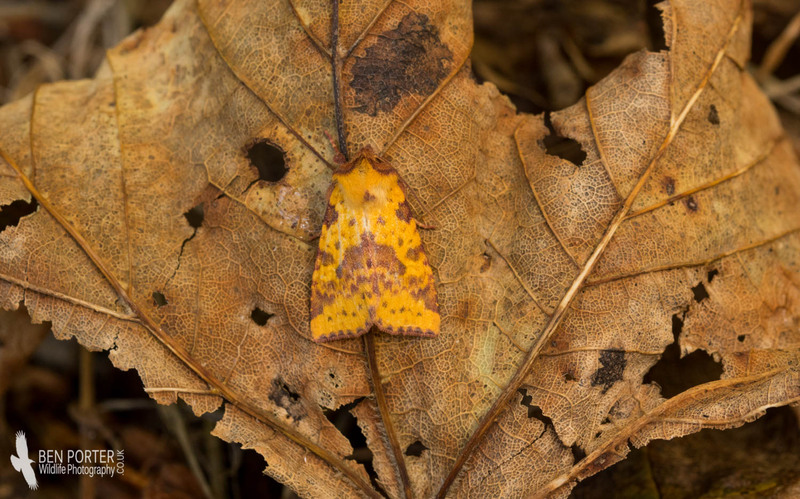 Autumn is a great time of the year for moth-trapping. 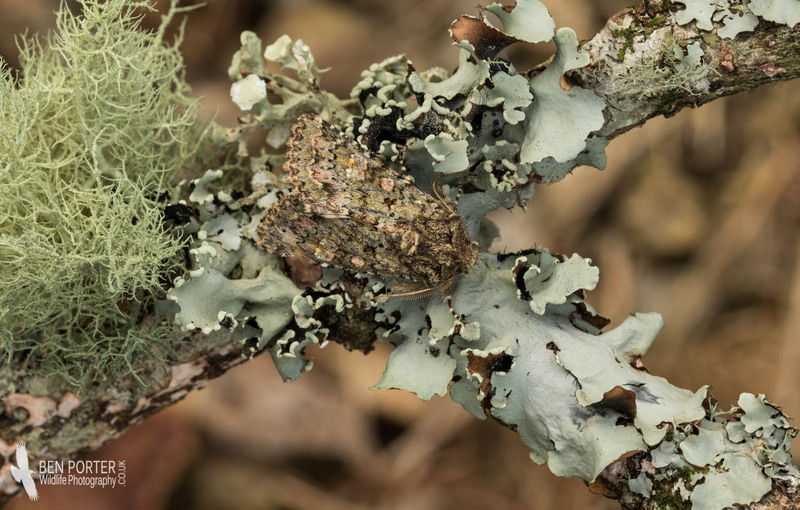 Although the diversity encountered inferior to that of the summer months, the quality is often just as good, with a superb array of commonly-seen moths turning up in the traps. 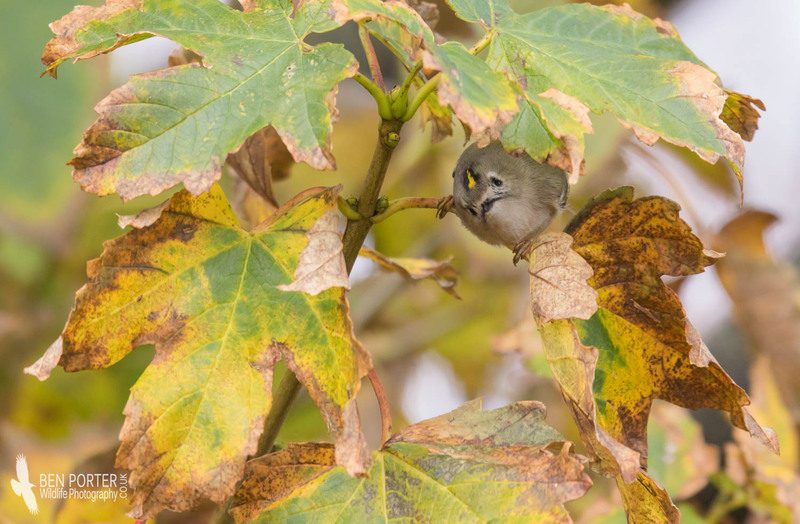 The species invariably sport a lovely colour combo that reflect the more muted and subtle tones of autumn. 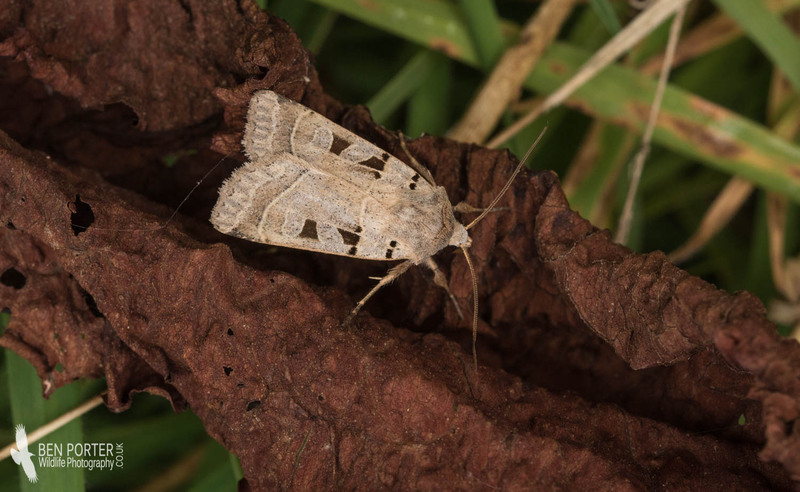 In addition to the resident and common garden moths, calm conditions with a good southerly airflow can result in large influxes of migrant lepidoptera, such as Silver Ys, Vestals, Rush Veneers and Rusty Dot Pearls. 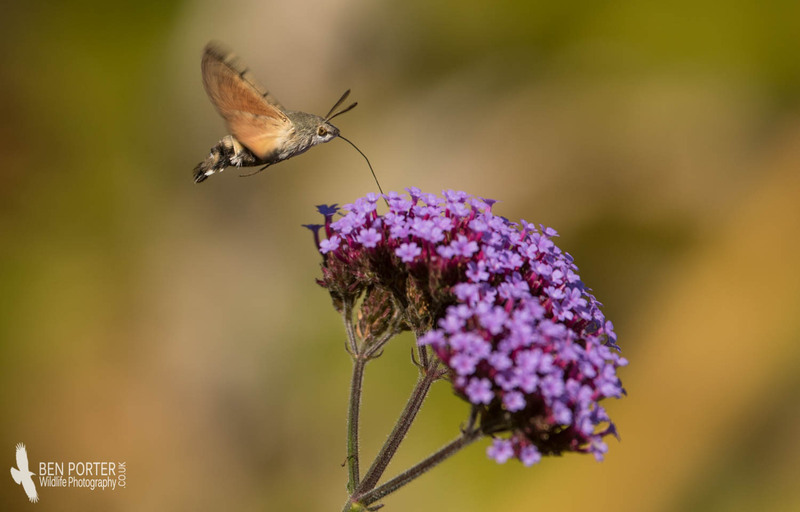 But scarcer species can include stunners such as the Crimson Speckled, Palpitta vitrealis and the lovely Hummingbird Hawkmoth. Over the last few weeks I have been running my little heath trap outside the caravan most nights. 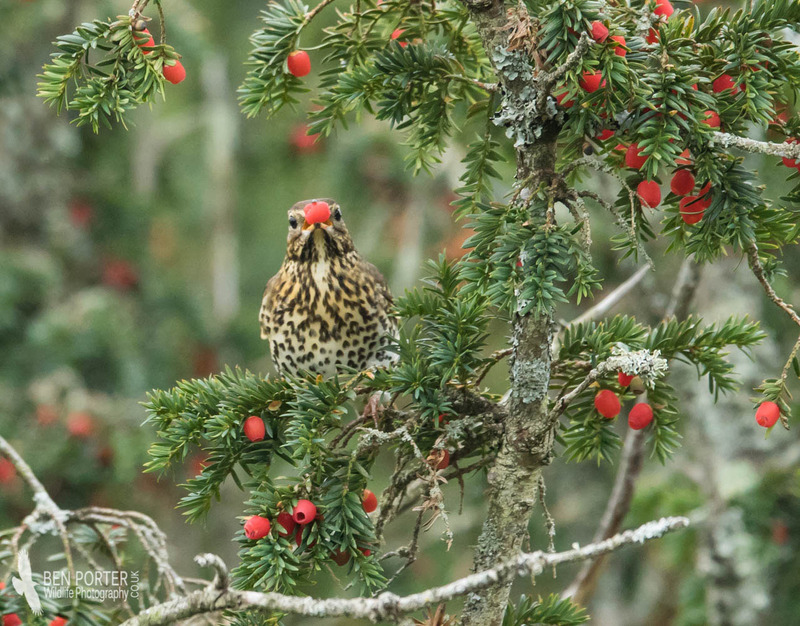 Although numbers were very low a couple of weeks ago, this was primarily due to the full moon. 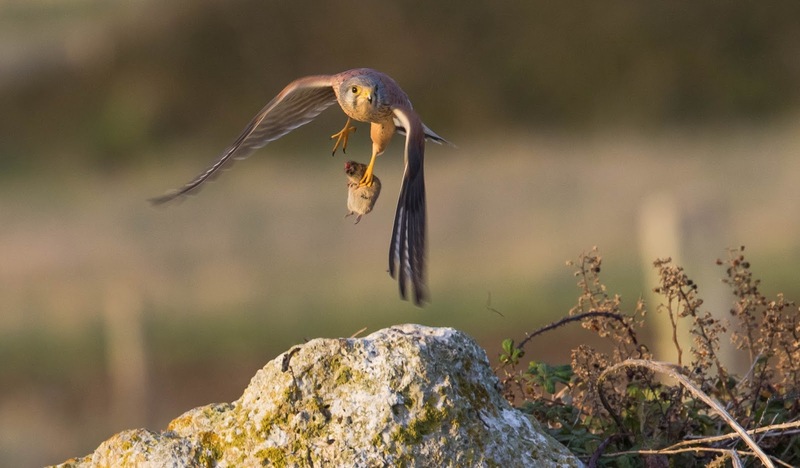 The last week has seen some decent catches, ranging up to 30 individuals, and including as many as 13 different species. 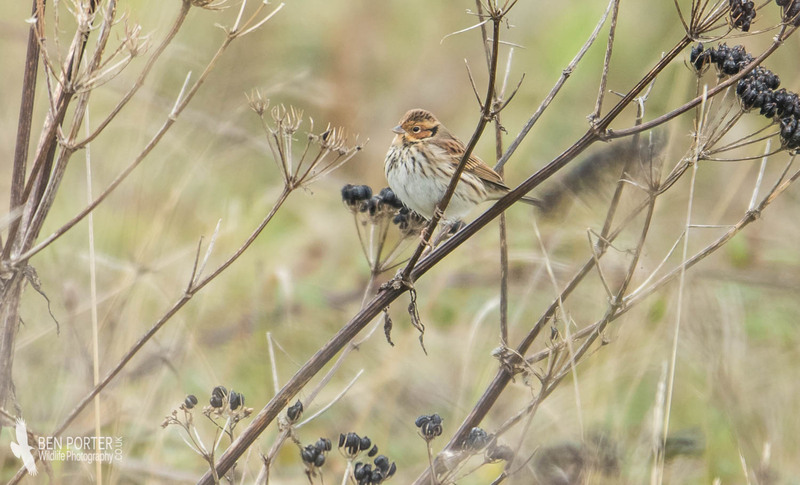 Some of the species are a little dull, admittedly, but for the most part they have been a pleasure to catch, bearing a delicate pattern and lovely suite of colours. 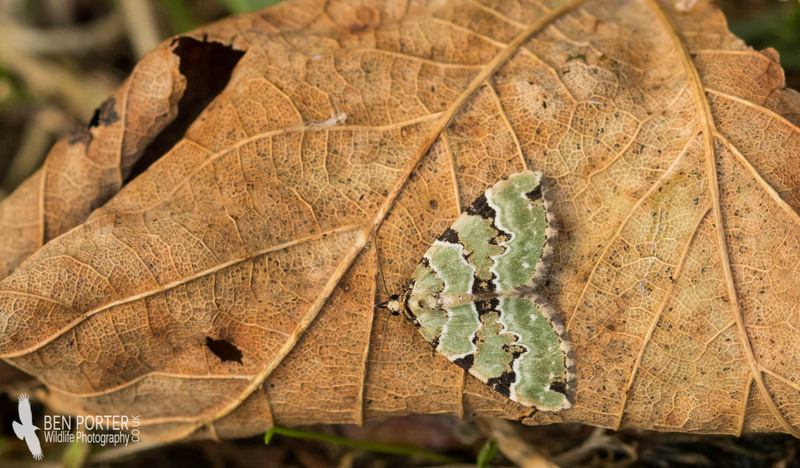 The obvious stand-out from the crowd was that of a pair of Merveille du Jours that I trapped on the 10th - a first for me, and a species that I have always wanted to see! 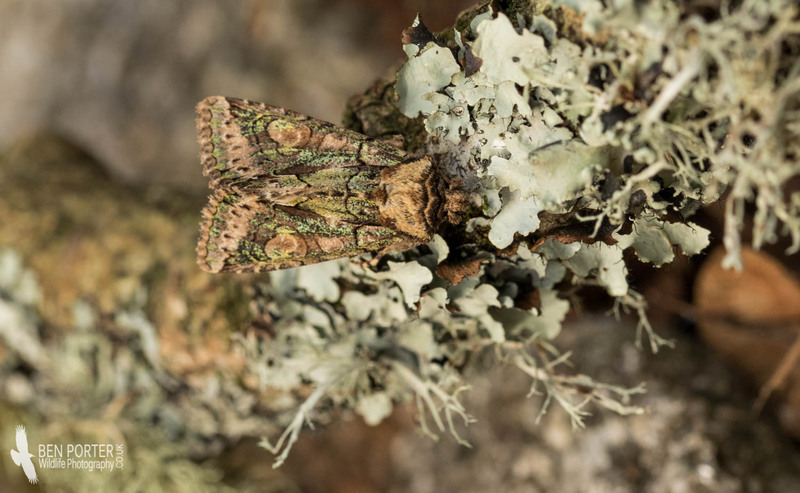 The Green-brindled Crescent is an almost equally stunning moth, which has only just appeared in the traps over the last few days. 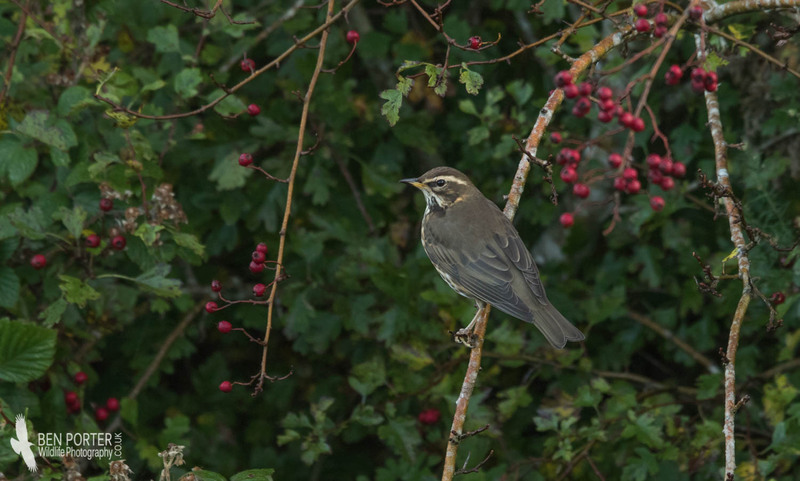 In terms of the more commonly-occurring species at the moment, a typical selection on a daily basis includes Beaded Chestnuts, Square-spot Rustics, Black Rustics, Setaceous Hebrew Characters, Feathered Ranunculuses, Red-line Quakers, Bricks (yep, the names get better! 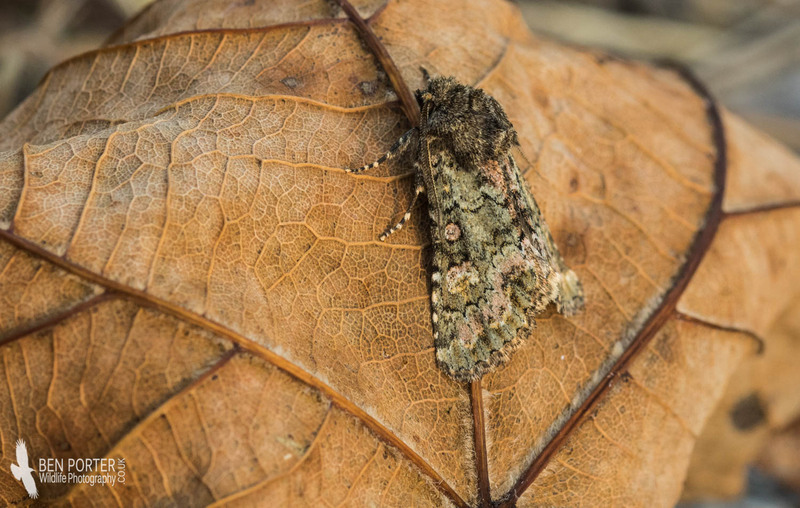 ), Lunar Underwings, Large Yellow Underwings, the odd Green Carpet and Common Marbled Carpet, and an Autumnal Rustic. 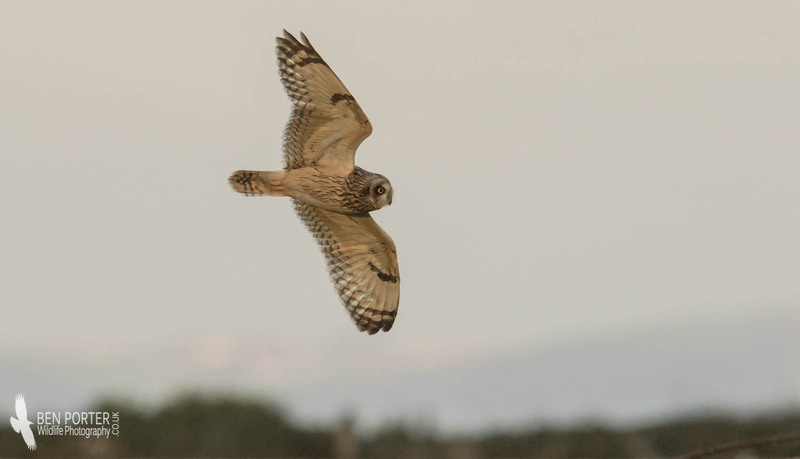 These make up the bulk of each trapping session at the moment, although the increasing brightness of the moon at night is likely to decrease catch sizes in the coming weeks. 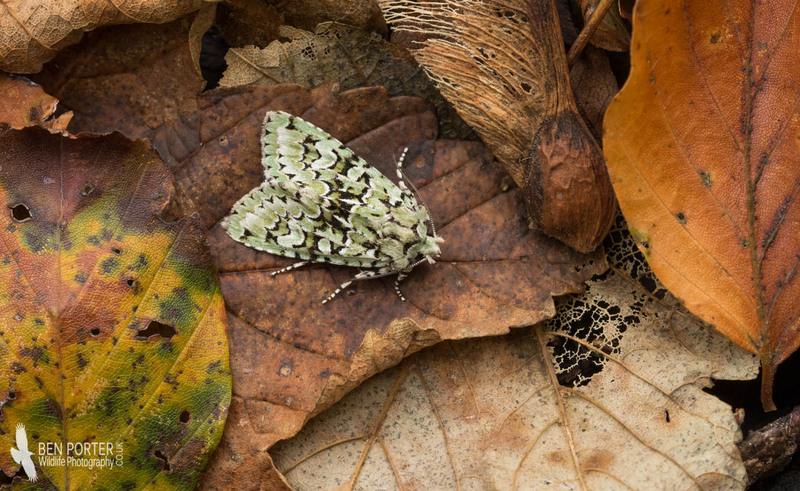 The superb Merveille du Jour. This translates more or less to 'wonder of the day', which I'd say was extremely fitting! 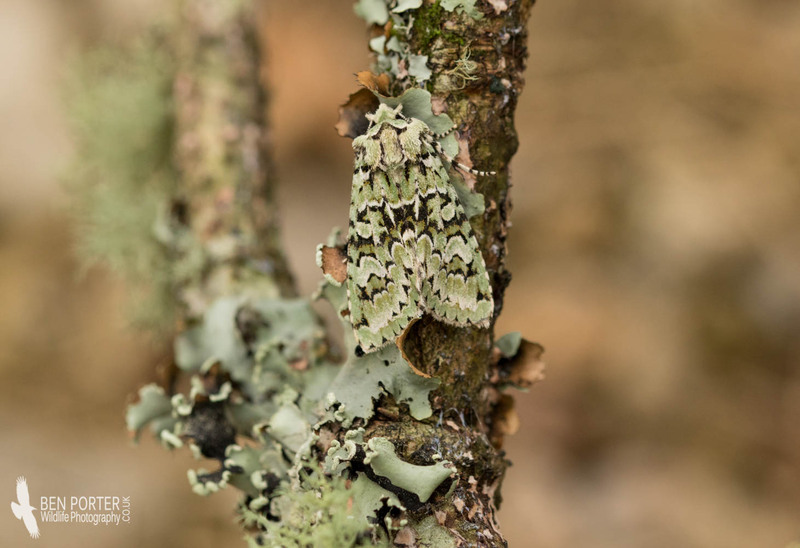 They blend incredibly well into the lichens on tree trunks! 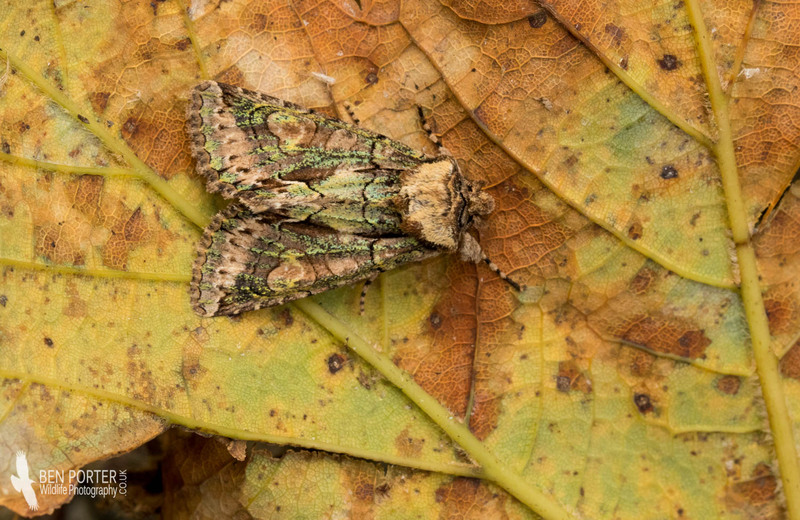 Green Carpet- a species that can be encountered throughout the whole year, although many have been appearing in the traps over the last month. 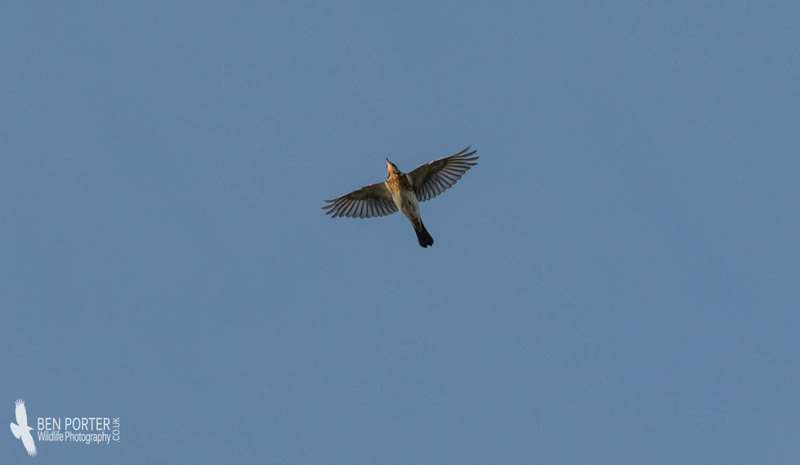 One of the more common species that turn up in the moth trap on a daily basis: the Feathered Ranunculus. 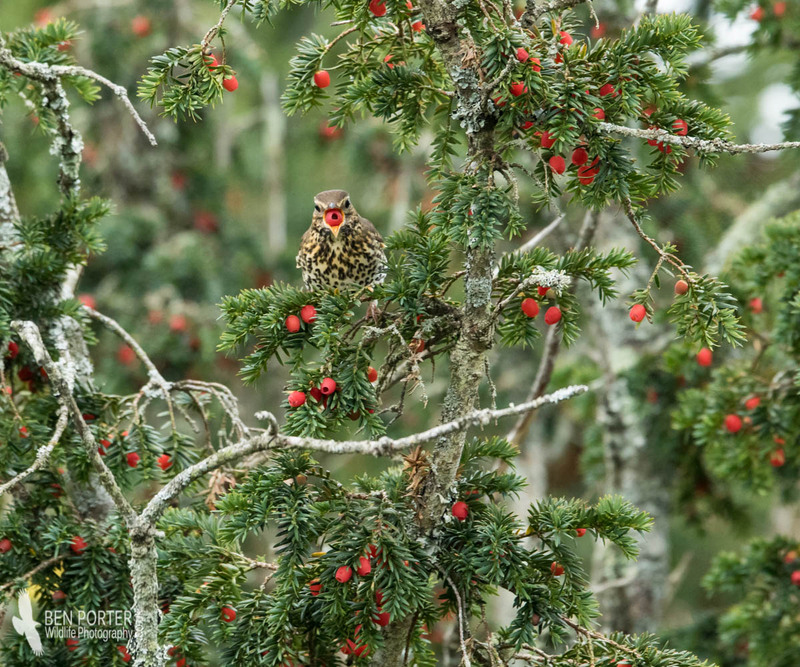 This is another very pretty species, albeit a little more subtly. Ironically, the preferred foodplants of the larvae are Biting Stonecrop and Thrift (amongst others), as opposed to Ranunculuses. 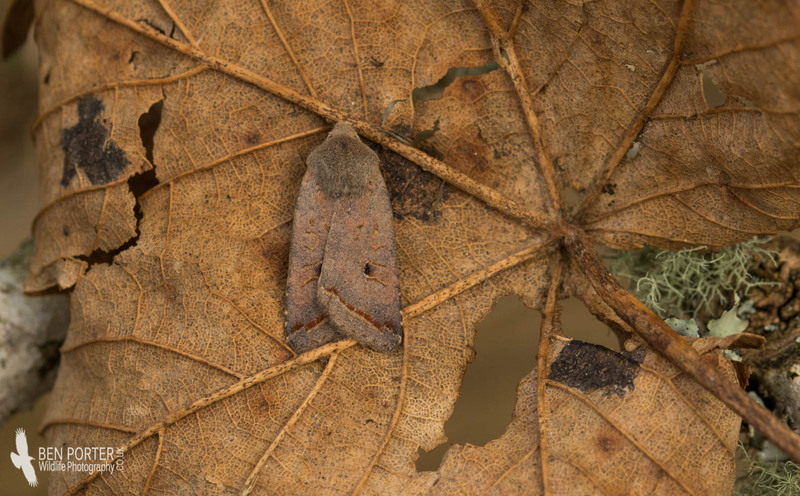 This species is one of two similar-looking moths that can now be found visiting the moth traps: this is a Red-line Quaker, and has only appeared in the traps in the last week, whilst its similar cousin, the Yellow-line Quaker, has not shown up at all as yet.